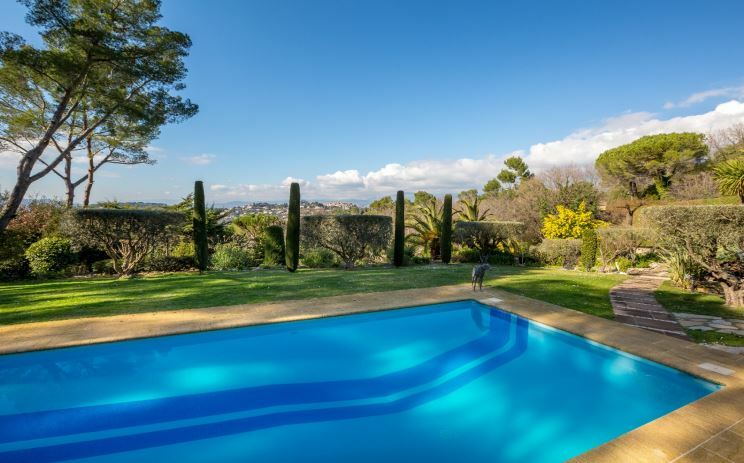 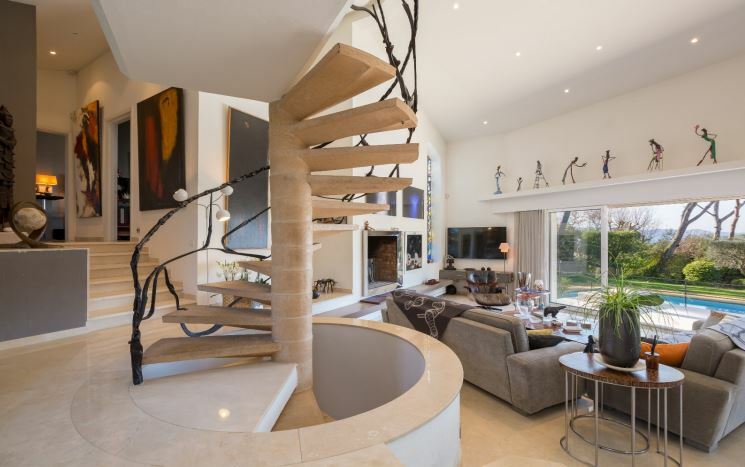 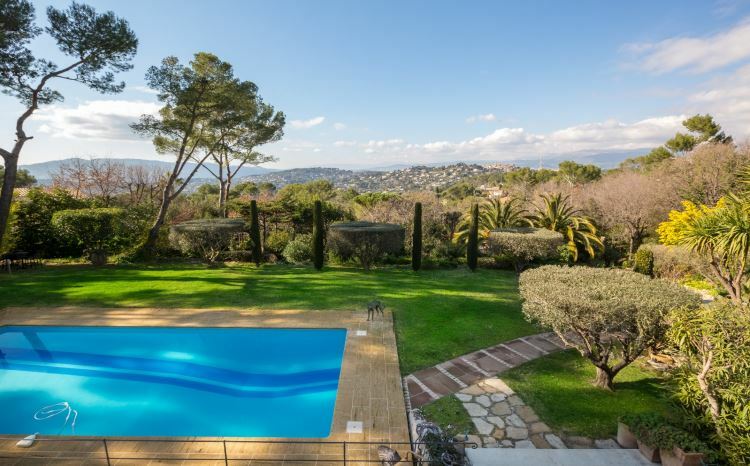 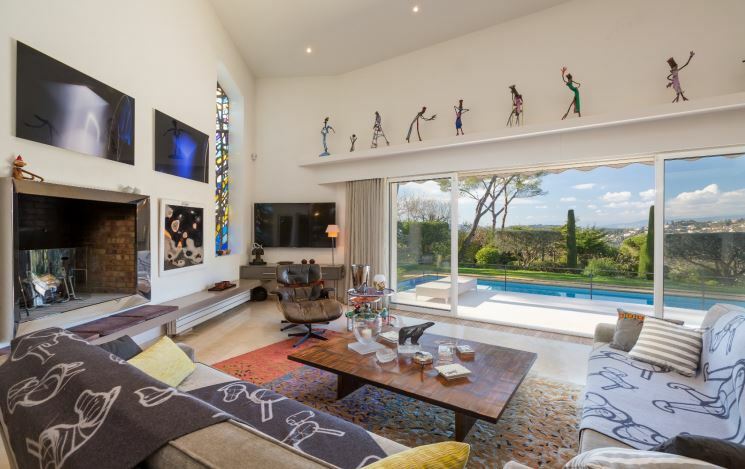 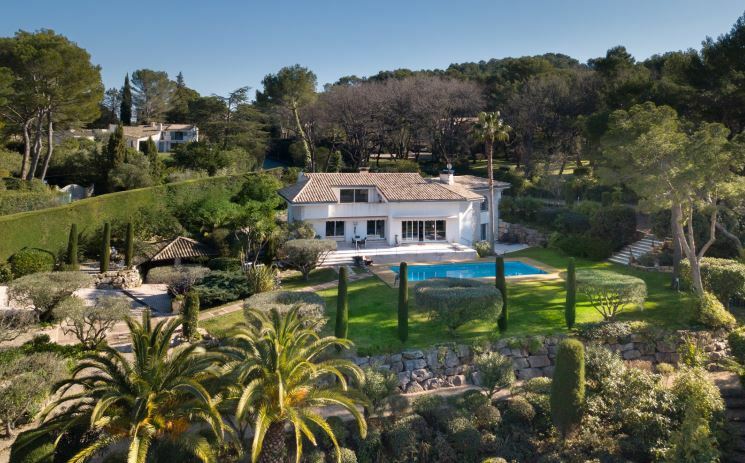 Located in a residential area, this beautiful Californian style villa offers a beautiful view of the old village of Mougins. 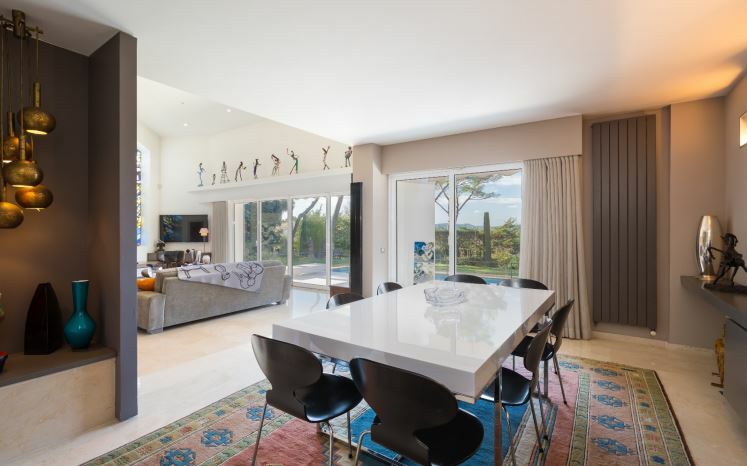 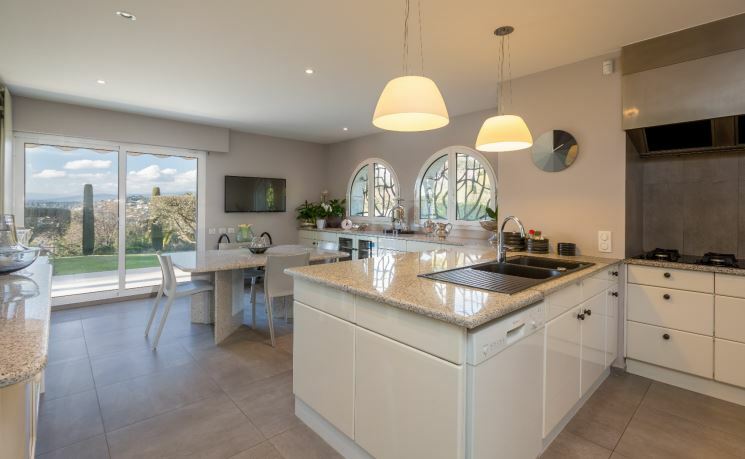 Beautifully decorated, the villa offers beautiful living areas, large living room with TV, dining room and kitchen all overlooking the terrace and garden with pool, 5 bedrooms including a master bedroom with complete bathroom en suite and its private terrace. 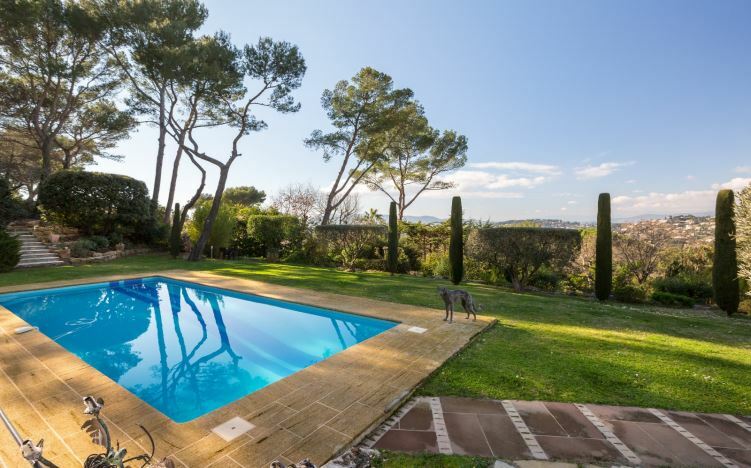 The garden of nearly 4500m2 is largely flat and has a large swimming pool.